Let the loving heart flutter for the life! As “the hotel zealous in commonwealth cause” labeled by the Ningbo Media, New Century Hotel Ningbo hasn’t only donated RMB 1 million for the charity cause once, but also created the image of beneficence and commonwealth in various charitable activities of Ningbo from the beginning to the end, including the “Charity Carnival” activity of anti-cancer health funds. Holding clear-cut banners in every performance and devoting to social commonwealth cause, the loving heart of New Century Hotel Ningbo has warmed Yongcheng. 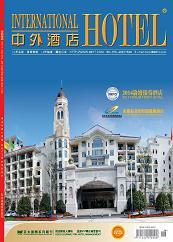 The prize is the best encouragement to New Century Hotel Ningbo!